Go with your genius thinking that will all help you to turn the useless and retired things into a variety of practical objects which can give you a big helping hand while doing the routine home tasks! Here we are with this little collection of DIY wood pallet furniture ideas that have been done by a single person only! In this small list of pallet ideas the first thing made is the mini pallet box that can be used with unlimited possibilities but using it as jewelry box, tool box and also as a toy box will be highly recommended! 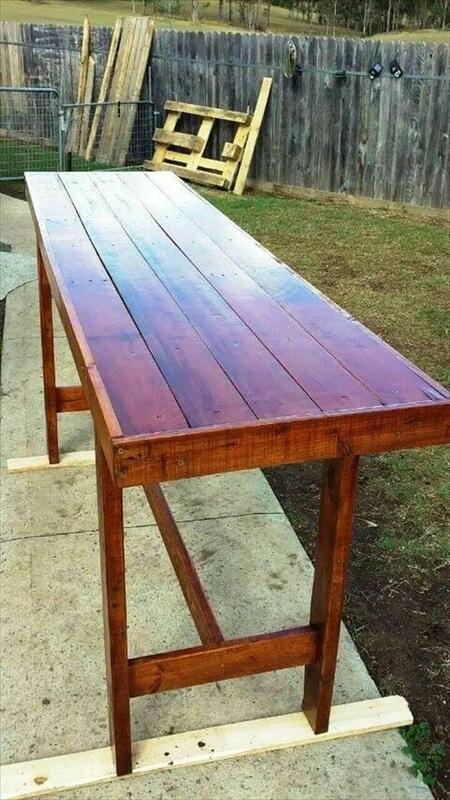 Moreover, these ideas guide the beginners about getting lasting wooden consoles out of pallets and also the mind-blowing picnic tables and end tables! 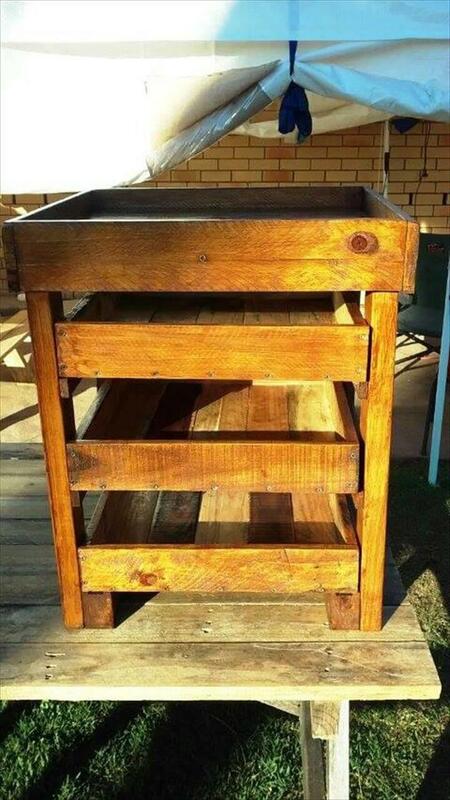 Pallets are a famous low-cost alternative to luxury wooden furniture so time to get crafty with pallets to complete your need-list of furniture for free! Given sample pallet furniture ideas are sure to make you inspired if you take just a little roundup! 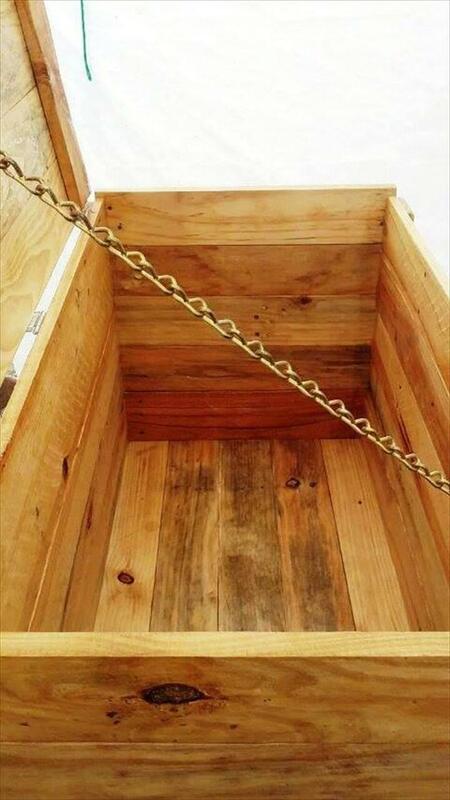 Construction is all equal to building a box by going handmade with straight single lengths of pallets! 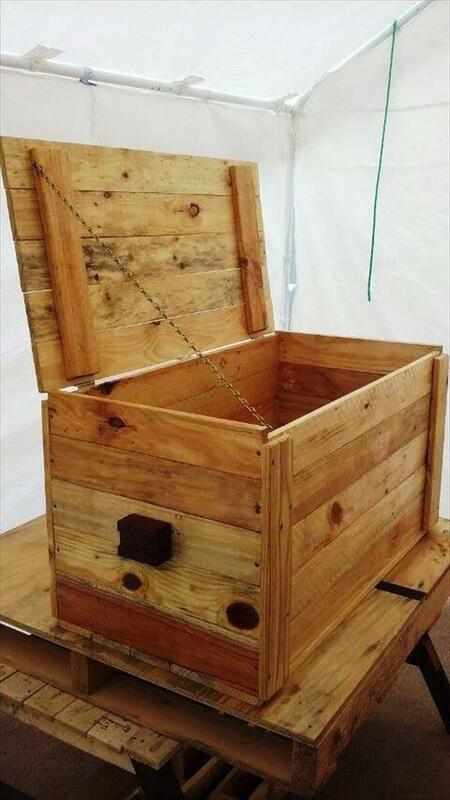 Finally you can add a hinged lid to turn the box into a mini chest! Small pieces of wood has been fixed as handles on both sides and help to lift it up easily! Lid has been made more stable by using a piece of metal chain! Can be used as a keepsake box, as a tool chest, as a jewelry box and also as a toy chest! You can also employ it for any dust-free type of storage! A mind-blowing pallet furniture craft, beautifully composed of single pallet lengths which have been resized and reconditioned first in a precise way! Table comes on wooden legs made of pallet planks also and have been made more stable by installing cross beam and supports! 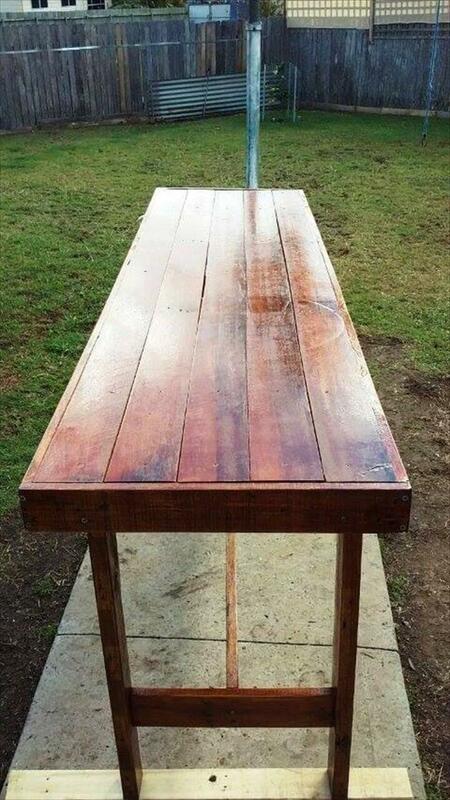 A nice finish using stain and wood sealant, can bring that amazing shine on the wood grains! 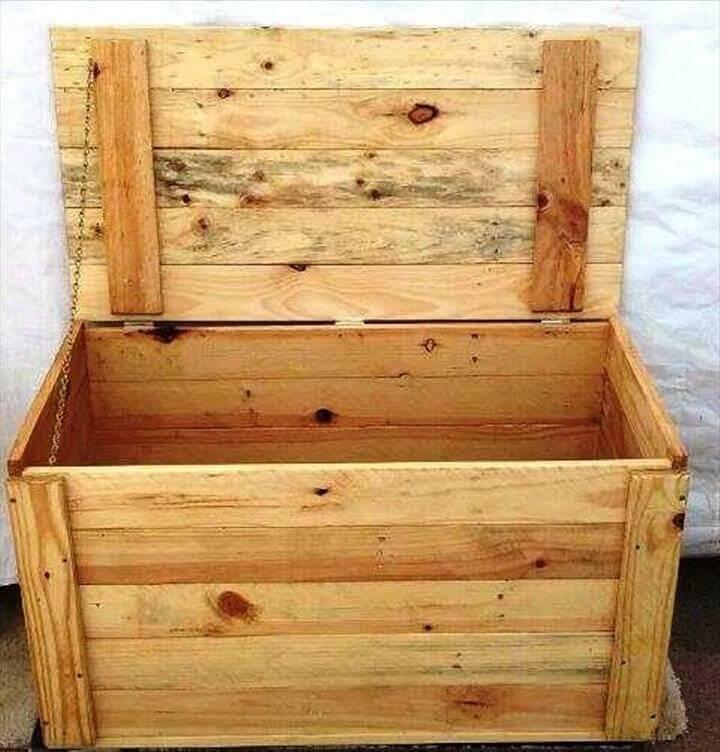 A mini but handsome pallet creation, need of every home, a fantastic wooden nightstand or end table or vegetable/fruit rack comes with built in shelves which can be used as a magazine rack to store the night supports just in case if you are using it as a nightstand! 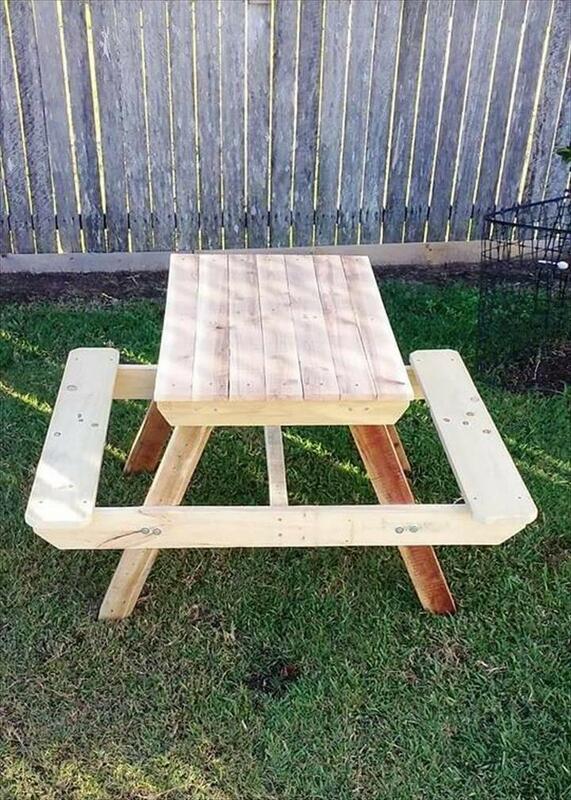 Here first of all a pallet picnic table has been installed by putting together a bunch of pallet planks, comes with legs angled outward! Then thicker wooden lengths have been added to make it get the attached benches! 5 Unique DIY Wood Pallet Furniture Ideas!